To celebrate the holidays with our valued members, here is my sweet and easy-kine arrangement of “The Little Drummer Boy" for solo guitar. It is in my C (C Wahine) tuning. 'Ohana Beamer wish you and yours a wonderful holiday season. May your holidays and new year be filled with the spirit of aloha. Moanalani has done a beautiful job decorating our Christmas tree and we want to be sure to wish our family and friends a happy holiday season! To celebrate Aloha Kalikimaka, we’ve just uploaded “Sanoe”, a beautiful solo piece for the Hawaiian Slack Key Guitar, written by Queen Lili’uokalani and arranged by Keola Beamer. Your study materials include video, audio and .pdf notes (including historical information) for this lovely song. In Hawai’i, distant memories of Queen Lili'uokalani are held close to the heart of the Hawaii’s people. Besides being a compassionate and caring leader, the queen was also a wonderful composer. 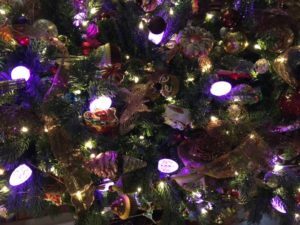 We know you will enjoy this wonderful piece and we hope that it will help you celebrate the beauty and aloha of the holiday season! Please note that about 3:17 into the video lesson notes for Sanoe, there is a really helpful bar exercise for those of you that may be having difficulty with bar chords. With our aloha and best wishes for a Mele Kalikimaka! I just finished recording the score for the 3D movie “Tibetan Illusion Destroyer” in a recording studio in Kathmandu, Nepal. The musicians were terrific. Together we overcame difficulties of language and musical notation to create a wonderfully organic musical score. Its going to take about a year for the film to be released, and we look forward to its release and sharing it with our new musician friends in Nepal. 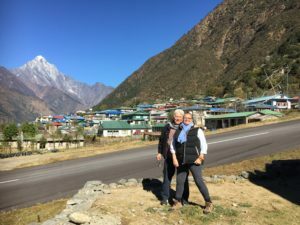 Moanalani and I took a couple of days off and flew to Lukla - which, last time I checked, was listed as #1 most dangerous airport in the world! What an adventure that was! No matter how many places weʻve visited in the world, there really is no place like home. We are looking forward to returning Maui and sharing a Thanksgiving meal with our family and friends. I played last night with master Shamisen artist Hiro Kurosawa at a concert hall in Isei, Japan. It was a wonderful blend of cultures and sound. 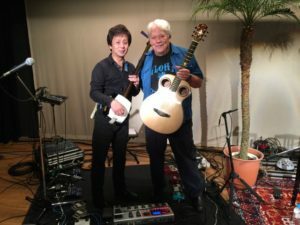 Hawaiian Slack Key Guitar and Japanese Shamisen? Is that outside the box or what? In my life, I have found it so interesting to explore the sounds and textures of word music. In the second photo, the Shamisen prodigy shows me his very high tech set-up. 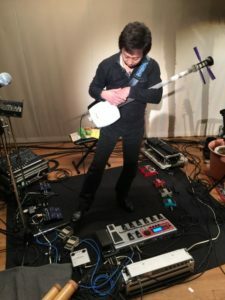 This clearly illustrates the Shamisen coming into the digital age, being re-born in a new century. 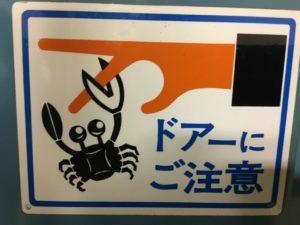 A quick note from Japan. I've received notification from Hawaii that our Aloha Music Camp site was hacked by person / persons in Russia. My brother Kaliko is re-building the site and the address will change to .org which was something we wanted to do anyway, but annoying to have to deal with it so suddenly. If you log on to the present site - you will see that is is being refreshed. In the meantime, on my way up to the dressing room last night, I saw this warning on the elevator door. Its to prevent a guitarists' career ending injury! My wife Moana and I are leaving for a concert tour of Japan in a few days. We are looking forward to our journey. 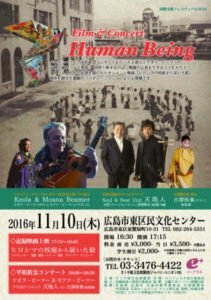 Although we have performed in Japan for many years, this will be our first trip to Hiroshima where we will perform in a Peace Concert. I am additionally thrilled to play with a master Shamisen artist. Shamisenist Hiro Kurosawa, has won the Nitaboh Award, the profession’s highest achievement - thrice in a row. 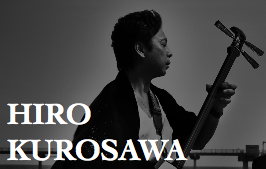 Hiro is a gifted musician and superb performer. The blend of Shamizen and Hawaiian Slack Key Guitar, sounds a bit radical, doesn't it? Ha Ha! I am curious to see what will happen and I hope my students will hold a good thought and keep their fingers crossed for me! Collaboration is good for the soul. It really does bring cultures closer together. I performed last night in Waikiki at a major benefit to support the issue of homelessness in Hawaii. It was a terrific show. The Hawaii for Hawaii event raised nearly $800,000 by the time we left. Hawai'i's high cost of living, plus the normal stressors drive people into homelessness. Its important to acknowledge the problem and work towards solutions. The money we raised last night will go to the Institute for Human Services which provides shelter, consulting and job placement. I'm grateful for my fellow musicians and entertainers who put their hearts our there to make this event a success. The above photo is me backstage getting ready to go on with my awesome guitar tech, Cary Hayashikawa. 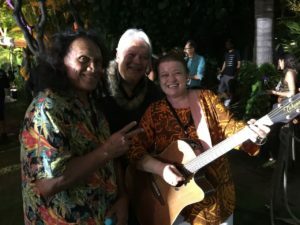 The below photo is of my wonderful friend - Henry Kapono, Myself and our sweet sister, Robi Kahakau. For those of our fans who supported this event through your donations during the live telethon on KGMB Television (Honolulu). Please accept our sincere thanks and aloha. We had a wonderful show last night in San Diego. It was one of those nights where the performers bought their very best to the table, myself included. 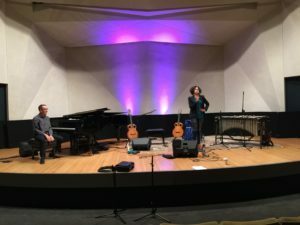 Here is a photo of our friends and fellow musicians' Gillian Margot and Geoffrey Keezer during their sound check. Tonight we will be at the Soka Performing Arts Center in Aliso Viejo CA. Its a beautiful performance space and Moana and I are really looking forward to it. For our friends and fans in the Phoenix, Arizona area of the country. I’m playing at 7 PM tonight with Jazz Pianist - Geoffrey Keezer at the Musical Instrument Musuem. Is a beautiful theater with awesome acoustics. For our valued members ... we've just uploaded a wonderful piece in F Wahine to the Intermediate Realm. Its got a great feel! Check out INT-23: Ku'u Lei Awapuhi Melemele. 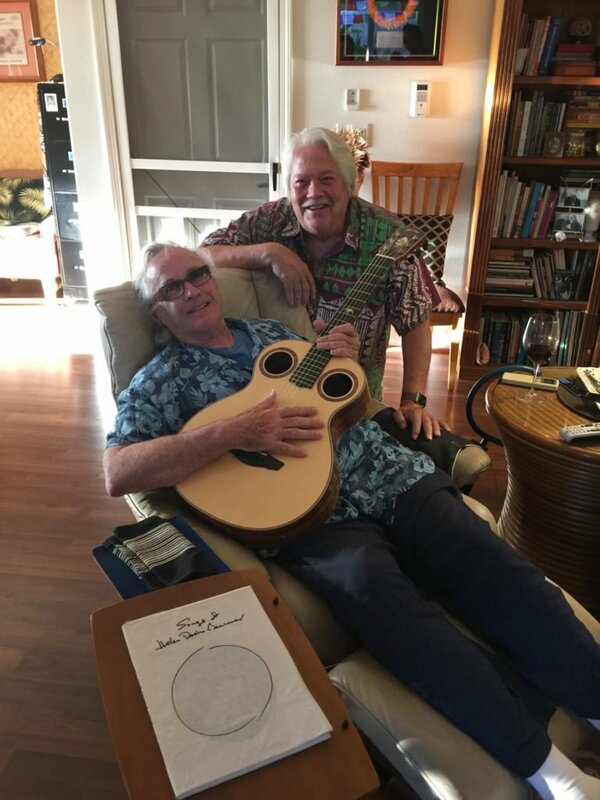 How did you discover your interest in Slack Key Guitar? Was it hearing the music on a CD that you got for Christmas? 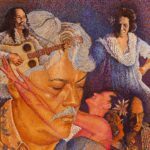 Or maybe you heard Slack Key music on a radio program? 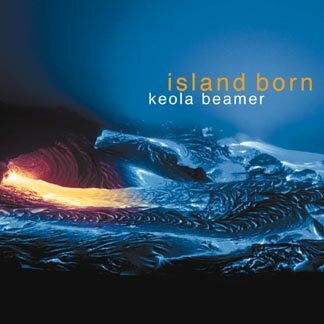 Or maybe you heard Keola’s music in the George Clooney film, “The Descendants”? 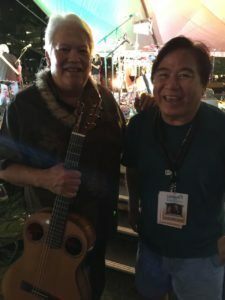 In this charming 2 minute Hawai’i Public Radio - “Story Corps”, Keola shares how he first discovered his love for Hawaiian Slack Key Guitar. 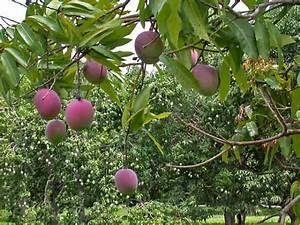 It was under a mango tree, at a family gathering. It’s an interesting story with a bit of a twist! August 27, 2016 - Aloha Kakou! 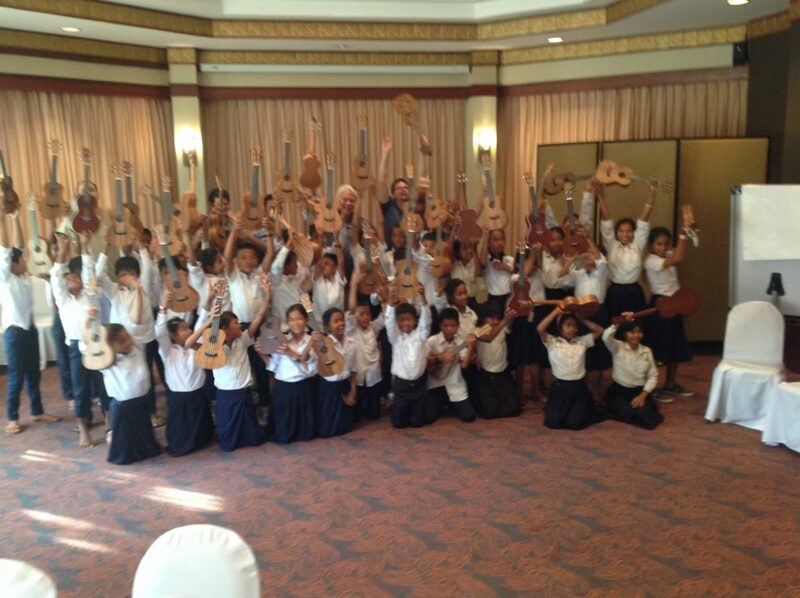 It has been almost five months since we brought the gift of music to Cambodian children. We provided 'ukuleles and instruction to 41 kids. We were all so impressed with their enthusiasm for learning 'ukulele--and yet we wondered, would they stick with it after we left? 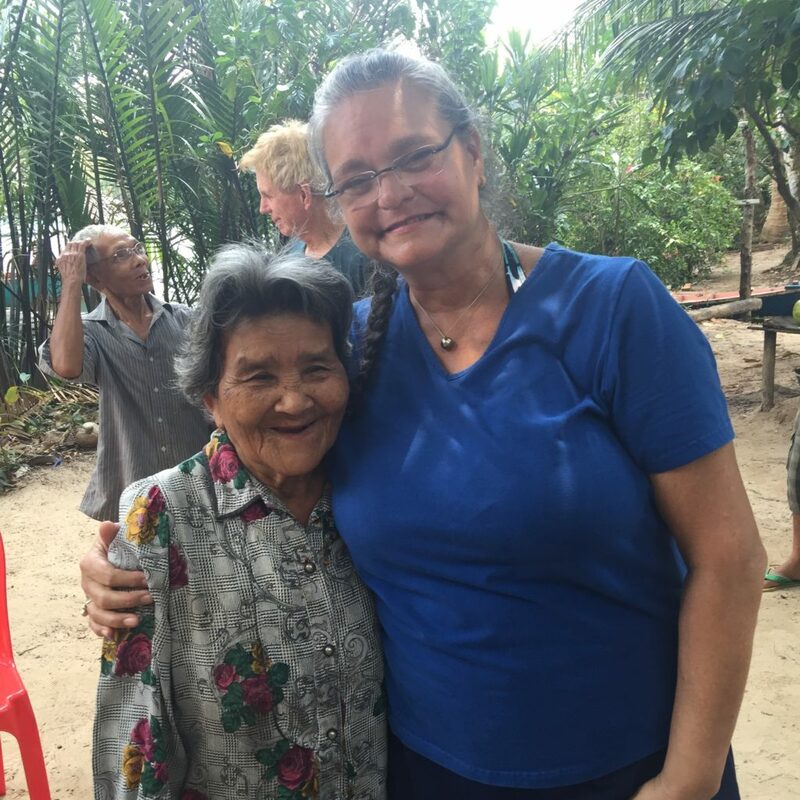 That question was answered today with a Youtube video sent to us by one of the Cambodian teachers we worked with on this wonderful program. The video shows our students at a recent performance, playing the instruments we provided and singing and playing a Cambodian song. This has worked out exactly as we had hoped! They have progressed so far in such a short period of time! The Gift of Music From Our Cambodian Kids! On behalf of Mohala Hou Foundation, the Beamer 'Ohana, and our group of volunteer instructors, we would like to thank those who most generously supported our program. August 18, 2016 - Keola walks the walk, with his friend, amazing guitarist Ry Cooder. 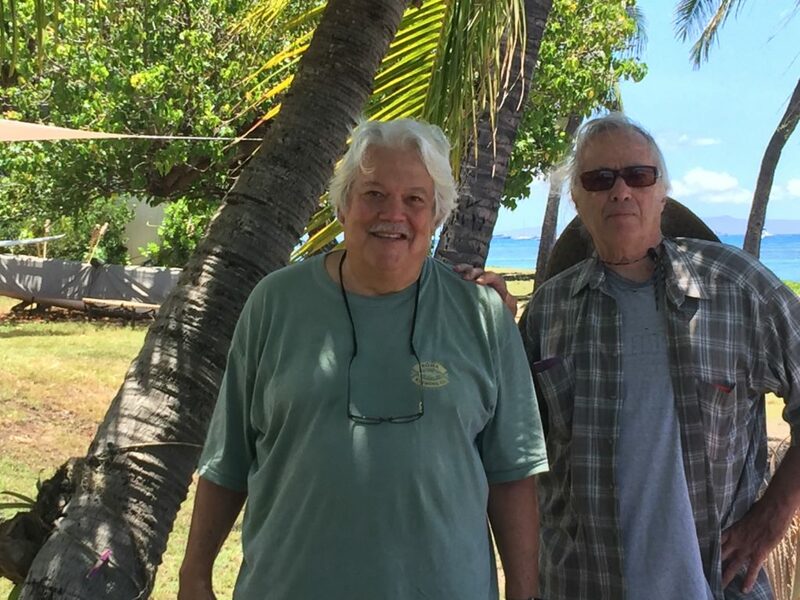 The legends are currently hanging out, talking story and exploring the beautiful shores of Lahaina, Hawaii. August 16, 2016 - We've just added 11 of Keola Beamer’s Performance Videos to our website. These wonderful performances and Keola’s turnings are yours to explore as a part of your valuable membership. August 2, 2016 - We've just added 9 of Keola Beamer’s Award Winning CD’s to our website. 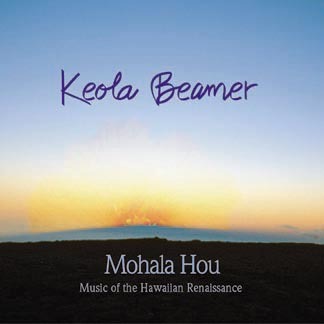 These wonderful recordings, Keola’s turnings and liner notes are yours to explore as a part of your valuable membership. Mahalo nui loa to our slack key 'ohana! July 11, 2016 - We've just added two new beautiful pieces to the Intermediate Realm! July 1-10, 2016 - I returned from working with sound designer Christopher Hedge in California. Chris and I were working on the score for a new film by Director Dr. Thomas Vendetti. It's a film called "Tibetan Illusion Destroyer". I recorded most of the score in Kathmandu in November of last year, working with some excellent musicians there. Its been a wonderful musical journey and I've learned so much, especially about the beautiful tonality of their native instruments. The film should be released this year. I'll be sure and let our friends know when the release date gets close. 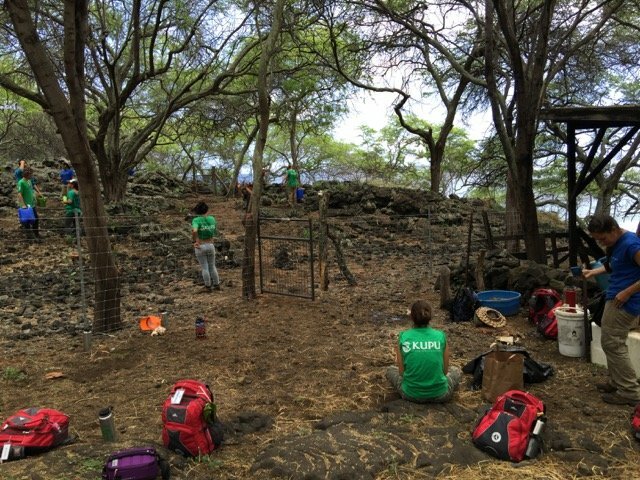 When we got back to Hawai'i, Moana and I flew immediately to Kona on Hawaii Island to host the young people of Kupu - Hawai'i Youth Conservation Corps as they volunteered their services for Aloha Kuamo'o 'Aina, our non-profit tasked with the protection and preservation of Hawai'i's sacred Battlefield of Kuamo'o. Kupu is centered on environmental conservation, restoration, education, and cultural awareness. HYCC gives individuals the opportunity to work outdoors with environmental agencies across Hawai`i and learn the principles of natural resource stewardship, while gaining valuable experience, knowledge, and skills that assist them in continuing their life pursuits. It was an honor to share aloha with these young people as they worked tirelessly to malama our beautiful 'aina. Aloha Kuamo'o 'Aina's Program Director - Kamuela Meheula did exceptional work in organizing and coordinating Kupu's visit. I am deeply grateful and honored to work with both her and Kupu. The photo above shows a few of the group planting in a newly protected area for the propagation of native species. 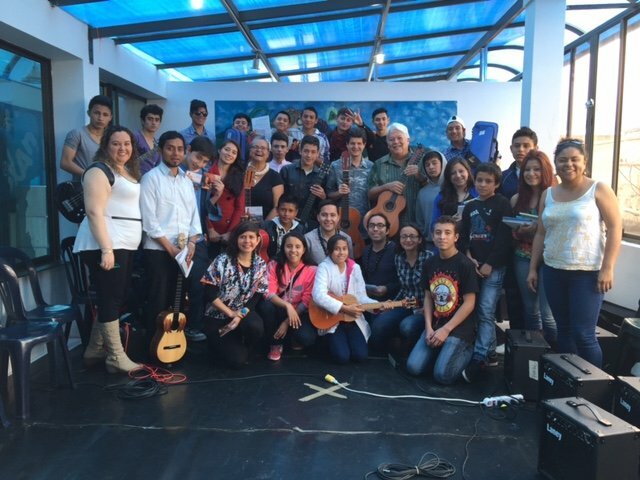 June 2016 -We've returned from our programs in Columbia where we had a great time spreading aloha and sharing music with people from all over the country. 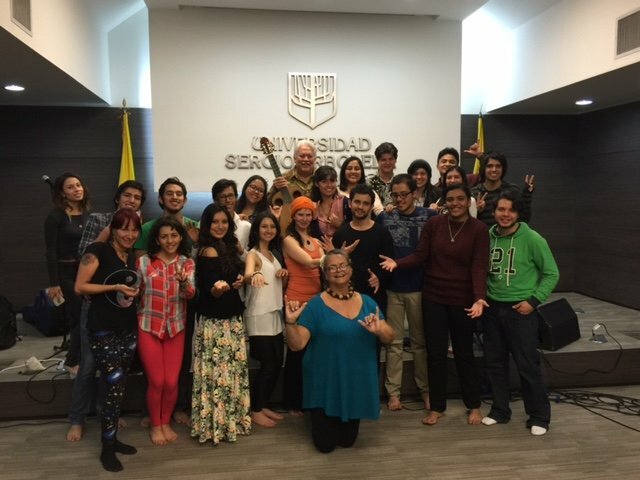 We worked with students and teachers and did some filming for Television in San Andres and for the U.S. Embassy in Bogota. It was a great trip and we are so grateful to have the opportunity of sharing our culture. 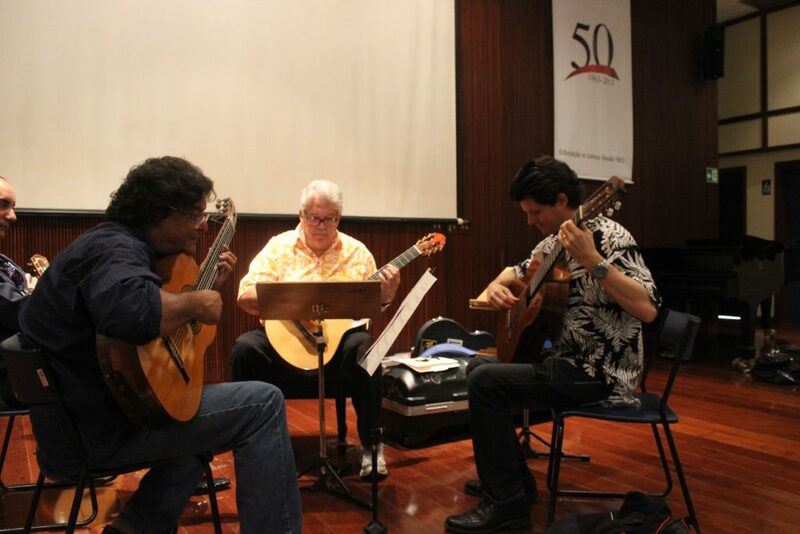 May 2016 - Weʻre gearing up for a May 2016 tour in Columbia, sponsored by the U.S. Embassy in Bogota. Renown guitarist and my dear friend- Jeff Peterson will be joining us. We are looking forward to spreading the Aloha a little further from Hawaiiʻs shores. Weʻve been really enjoying our association with U.S. Department of State and have been honored to be received in Brazil, Venezuela, New Zealand, Zimbabwe, and South Africa. Mahalo for the generous contributions of our web-ohana and AMC family that made our Ukulele's in Cambodia a resounding success! It was a great trip and the kids learned a lot! The Kids Learned to play and then we left the ukulele wth them, so they could make their own music! Aloha Music Camp is coming up quickly! Keola and friends will be there Feb 5 -11th, 2017. Late in 2015 we had wonderful news! 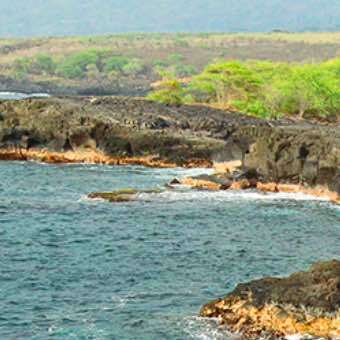 Keola's Two year journey has come to a conclusion: Kuamoʻo Battleground will forever be protected!